In 1535 Cartier found Iroquoians occupying the St. Lawrence region, including the villages of Stadacona (Quebec) and Hochelaga (Montreal) . 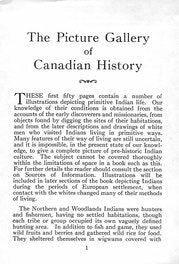 Seventy years later Champlain found this territory in the possession of Indians whose language was different from that recorded in a list of words made by Cartier. 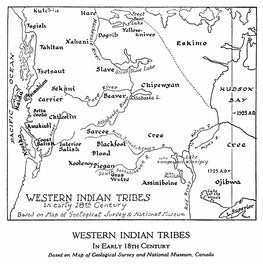 Evidently during this period the lroquoians had been pushed out of the St. Lawrence valley by the more northern and eastern tribes of Algonkians. By Champlain's time the lroquoians were settled around Lake Ontario and north of Lake Erie. 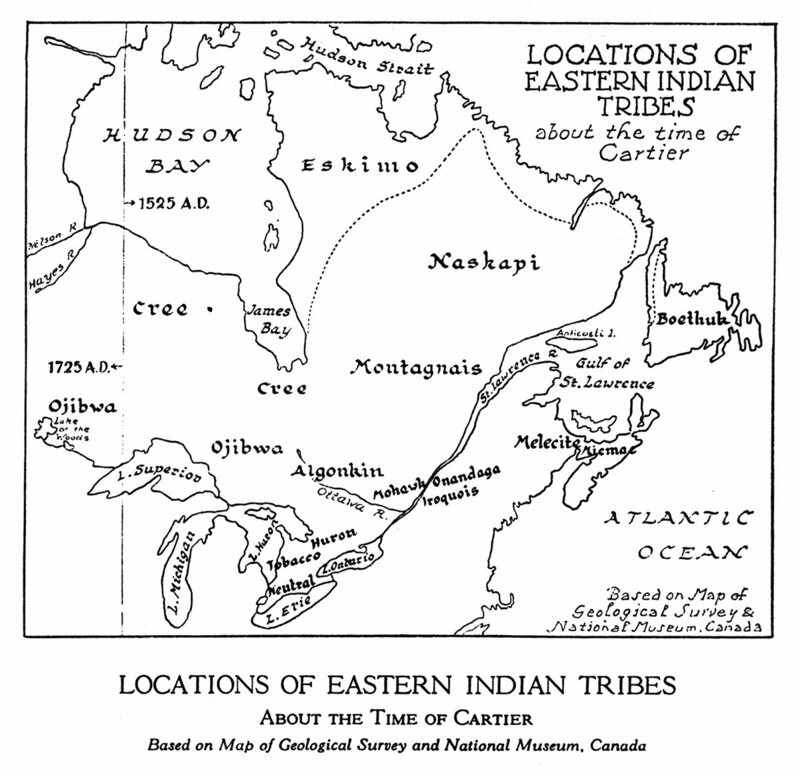 The Algonkians were the most wide-spread group of Indians speaking much the same language. They extended from the Atlantic coast to the western prairies.